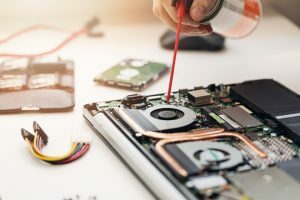 Fix It Fast now offers a wide variety of computer repairs and services, including custom built computer systems. Pricing varies based on type of computer or laptop and service needed; see below for standard pricing structure. For additional questions, please call the closest Fix It Fast computer repair shop. Diagnostic: $20 per hour, not to exceed 2 hours or $40. Fee will be credited toward final total if customer chooses to repair device. Custom built computer systems require a free consultation with a technician prior to quoting. *Computer repair services and prices may vary in Omaha market. Please call store for details.